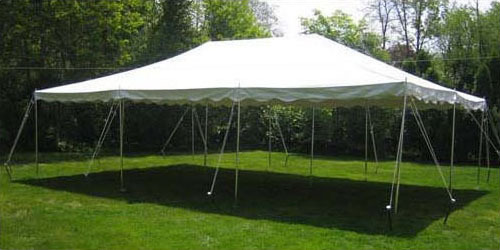 A frame tent is a free standing structure with no center poles. 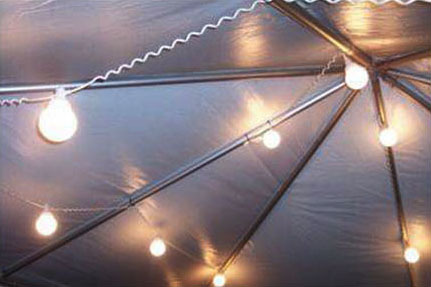 It can be set up on Grass, Asphalt, a Patio or any hard surface. 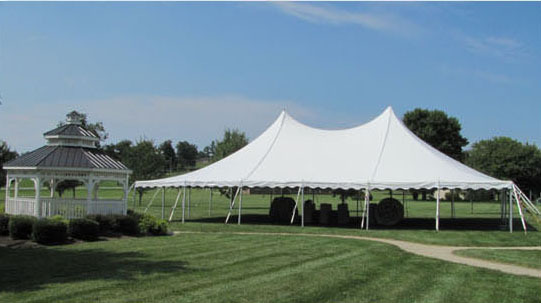 Century Pole Tents, also known as "High Peak Tension Tents" among the various other names, are larger, engineered tents that have a high peak look. 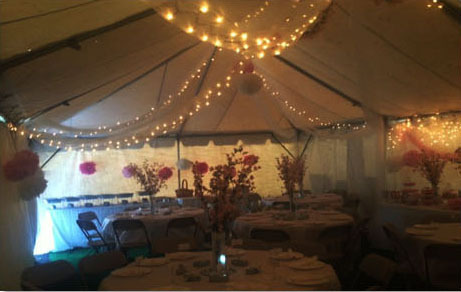 The elegant high peaks make them very popular for weddings, corporate events, and larger private parties. 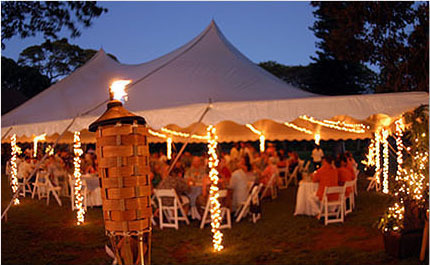 Canopies are a more traditional type of tent with center poles, side and corner stakes. 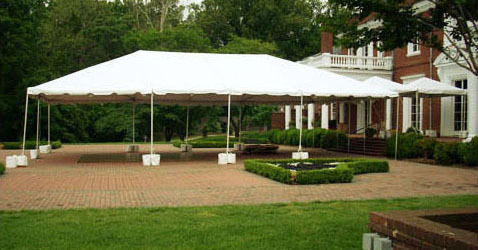 Canopies are mostly set up on grass but can be set up on asphalt.